New updated 2008 version with new Vibram® sole. Added to the technical contents of the 2007 version, the advantages which come from the Impact Brake System is the reduction of impact on terrain and maximum grip on any type of surface both in traction and in braking. It adopts the ankle 3D Flex System multidirectional joint which ensures ankle support and mobility in all directions. 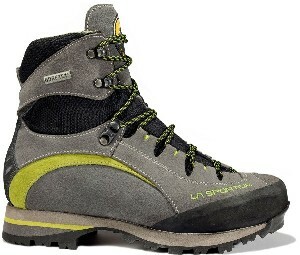 Thanks to its characteristics and to the new sole, this model is ideal for walking off trails on rough terrain, difficult trekking and walking with heavy loads.